Good News. 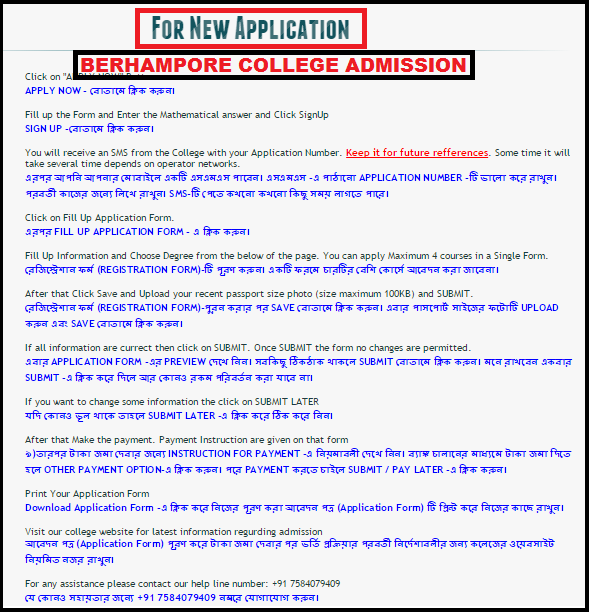 Berhampore College administration decided to open 1st Year B.A/B.Com/B.Sc General/Pass courses admission process again from 10th July to 13th july to fill up available vacant general seats . 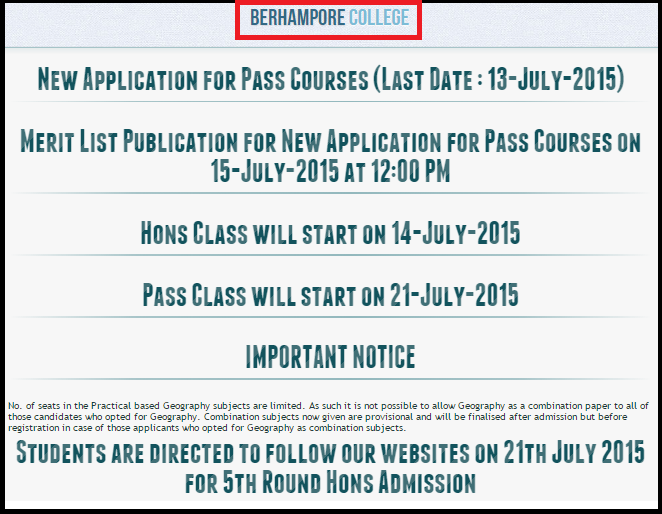 Merit List publication date for New Application for Pass Courses on 15th July 2015 at 12:00 P.M. Berhampore College Online Admission for academic session 2015-2016. 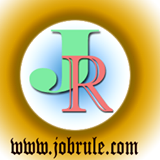 Berhampore College Subject wise available vacant seats information. 5. Verification of original documents date will inform later by the college authority.